This stitch is twice as high as single crochet, so it has a more open fabric. It can be used for scarves, hats, blankets, sweaters and so much more! Start with the hook in your right hand, and the foundation chain in your left. 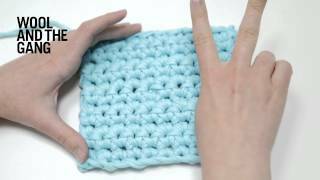 You have now worked one stitch in double crochet. To make more double crochet stitches, repeat steps 3 - 8 It will get a bit twisted as you do more, but will flatten out when you work back into it for the next row. 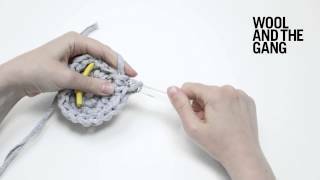 Loop the yarn around the hook, and insert your crochet hook under the next stitch. Insert the crochet hook under the whole stitch, rather than in the middle of the stitch. This will be illustrated in the next image! You will now complete the stitch as you did before: Move the hook under and then over the yarn. Scoop up the yarn with the groove of your hook, and pull it through the stitch. There are now three loops on your hook. Loop the yarn around the hook again, and pull the yarn through the first two of the loops on your hook. 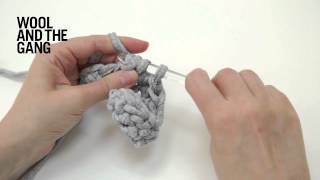 Loop the yarn around the hook again, and pull the yarn through the remaining two loops on your hook. 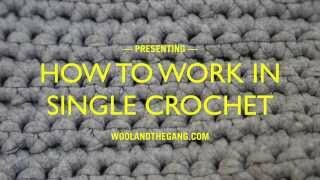 Repeat from steps 12-14 to continue working double crochet across the row!